It's time to start packing for your next off-road vacation with this XLR Thunderbolt toy hauler. Load up your toys in 13' of cargo space with any of the four entry doors that have been included in this model. 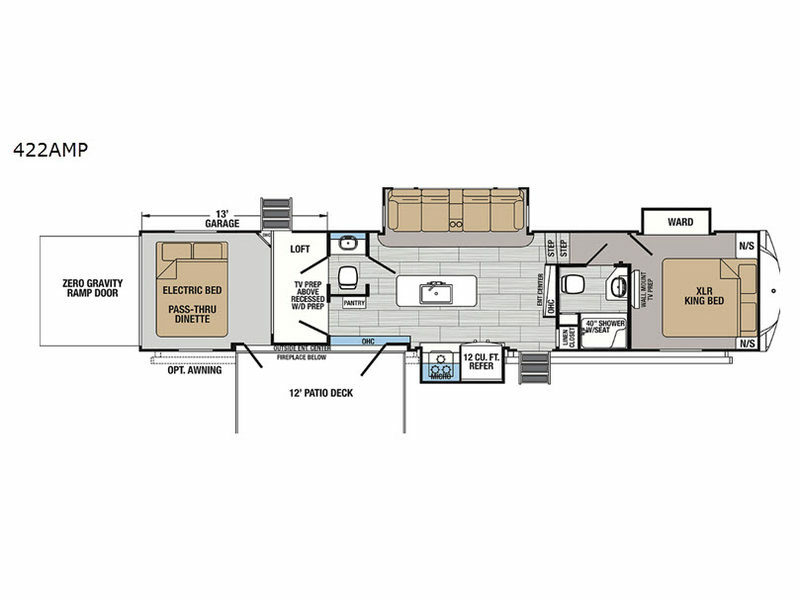 Plus, you will enjoy the exterior 12' patio deck, interior floor space from the three slides, the convenience of a bath and a half, and the extra sleeping space from the loft. 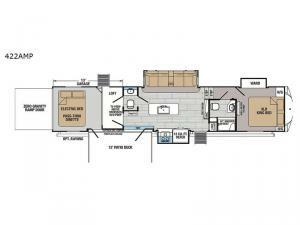 There is also an entertainment center equipped with a fireplace for you to enjoy a relaxing night, and meal prep will be a breeze with the kitchen island that provides you with not only extra counter space, but also extra storage space. 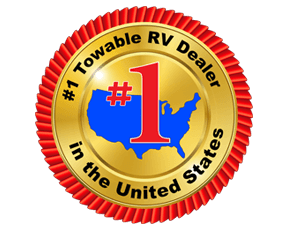 In any Forest River XLR Thunderbolt toy hauler, you will experience a fun-packed and cutting-edge fifth wheel that is big enough to haul your toys and decked out with comfortable features! Starting with it's 102" wide-body construction, one-touch hydraulic 6-point auto leveling system, and MORryde CRE 3000 suspension enhancement, the XLR Thunderbolt exudes quality at its very core. The interior is also packed with awesome features, such as the large panoramic windows, crown molding, a triple-zone Bluetooth sound system, and a Dyson cordless vacuum.